"A must read for parents, educators, and people with dyslexia." With prescriptive advice and inspiring testimonials, this paradigm-shifting book proves that dyslexia doesn’t have to be a detriment, but can often become an asset for success. You can get a copy at: Amazon, Barnes & Noble, Audible, Abebooks, Book Depository, Kobo, Indigo, Half.com, Alibris, iBooks, Better World Books, Google Play, IndieBound and more. Anne was “a consistently poor reader” until well into adulthood. Like many struggling readers, her memories of school are highly negative: “School was torture. School was like being in jail. It was captivity and torment and failure.” Though she dearly loved stories and spent hours flipping through picture books, her poor reading skills kept her from drawing more than a bare sketch of the “action and incident” described on the page. Instead, it was through books read aloud at school and home, and the radio dramas and movies she enjoyed, that she developed a love for the rhythm and flow of language. Fernette and Brock Eide Learning disabilities specialists Fernette and Brock Eide are the authors of The Dyslexic Advantage: Unlocking the Hidden Potential of the Dyslexic Brain. Read more about the strengths of the dyslexic brain in a Q&A with the Eides. Anne struggled with reading throughout elementary school, but writing grew easier. From fifth grade on she wrote adventure stories and plays for her classmates. They responded enthusiastically, and overlooked her spelling errors. Unfortunately, Anne found no way to turn her writing talent into classroom success. Anne began looking for another subject where she might find more success. She was passionately interested in the great ideas and beliefs that shaped the modern world, and wanted to form a “coherent theory of history.” She considered majoring in philosophy, but here too she was hindered by her poor reading. Anne found that she “could only make it through the short stories of Jean-Paul Sartre, and some of the works of Albert Camus. “One the great German philosophers who loomed so large in discussion in those days [during the early 1960s], I could not read one page.” Instead, Anne opted for a degree in political science, where she was able to grasp the key concepts almost entirely from lectures. She earned her degree in five years. Fortunately, Anne could still write, and shortly after earning her master’s degree she began work on a new novel. One of the primary themes of that novel was the experience of being “shut out” from life and the fulfillment of dreams—an experience Anne knew well from being “shut out of book learning.” Three years later that novel was published, and it became a phenomenal bestseller. Anne followed that first novel, which she entitled Interview with the Vampire, with 27 more, and together they’ve sold over 100 million copies, making Anne Rice one of the best-selling novelists of all time. You might think it’s extremely unusual for such a talented and successful writer to have trouble with reading and spelling. You would be wrong. – Best-selling novelist Sherrilyn Kenyon (who also writes under the name Kinley MacGregor), whose novels have sold over 30 million copies. We’re not mentioning these outstanding creative writers just to encourage and inspire you with their remarkable achievements. Nor are we merely suggesting that dyslexic processing can be helpful for creative writing, though for reasons we’ll discuss shortly we also believe this to be true. Instead, we’re focusing on these talented writers because we believe they reveal something important about dyslexic processing in general—not just for dyslexic writers, but even for many individuals with dyslexia who never write at all. What these authors illustrate is the profoundly narrative character of reasoning and memory that is shown by of many individuals with dyslexia. Normally dyslexia is considered a handicap: a mental deficiency that makes reading, long-division and remembering whether letters and numbers face left or right difficult. Challenging this view, learning disabilities experts Brock and Fernette Eide argue that dyslexia is an alternative way brains can be wired – one with many advantages. Learning disabilities specialists Fernette and Brock Eide are the authors of* The Dyslexic Advantage: Unlocking the Hidden Potential of the Dyslexic Brain*. 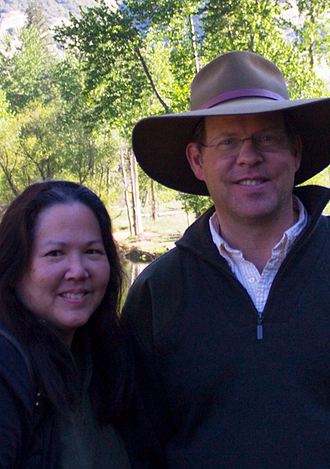 They blog about the little appreciated benefits of dyslexia and run a private practice in the greater Seattle area. Read an excerpt from the book.While dyslexic children may struggle in the early grades, they often grow into gifted story tellers, inventors and entrepreneurs. 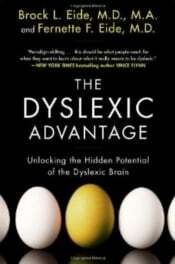 The Eides’ new book The Dyslexic Advantage, helps dyslexics and their families recognize and nurture the benefits of a dyslexic brain. The authors recently discussed some of these benefits with Wired. Wired: What are the major strengths of having a dyslexic brain? Interconnected reasoning is another kind of strength. These connections can be relationships of likeness – analogies for example – or causal relationships, or the ability to shift perspective and view an object or event from multiple perspectives, or the ability to see the “gist” or big-picture context surrounding an event or idea. Many dyslexics work in highly interdisciplinary fields or fields that require combining perspectives and techniques gained from different disciplines or backgrounds. Or they’re multiple specialists, or their work history is unusually varied. Often these individuals draw the comment that they can see connections that other people haven’t seen before. These individuals excel in fields where telling and understanding stories are important, like sales, counseling, trial law or even teaching. In addition, a large number of professional writers are dyslexic. For example, Philip Schultz, a Pulitzer Prize winning poet, recently wrote a wonderful piece for The New York Times about his new memoir, *My Dyslexia. *He shows the kind of profoundly clear and vivid memory of personal experiences even from very early in his life that we commonly see in dyslexic individuals.